We are accepting new patients. To schedule an appointment, please contact us at (480) 219-0013. Call our office at (480) 219-0013 and one of our staff members will be happy to assist you in getting scheduled for an office visit. When you arrive for your first appointment, please bring your medical records, copies of any imaging tests, your insurance card, picture ID, and if applicable, your referring physician’s information, and a list of your current medications. You can also speed along the check-in process by completing your profile in our Patient Portal or by downloading the forms here. Please fill the forms out and bring them to your appointment. We invite you to call our office if you have any further questions. Dr. Johnson provides general, minimally invasive and robotic surgery to treat a wide variety of medical conditions and disorders. To learn more about the conditions he treats, visit the Areas of Specialty page. 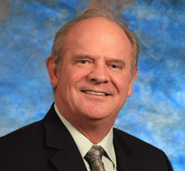 Dr. Johnson is board-certified in general surgery. Board certification recognizes surgeons who have met the highest standards of education, training and knowledge specifically in the area of general surgery and its related specialties. To maintain their board certification, surgeons must pass a written examination every 10 years and demonstrate they have participated in ongoing professional development, continuing education, and practice improvement. What does F.A.C.S. stand for? The letters F.A.C.S. stand for "Fellow, American College of Surgeons." The American College of Surgeons admits to its Fellowship only those surgeons who agree without compromise to practice by the professional and ethical standards of the College. When this designation appears after a surgeon's name it indicates that the surgeon's education and training, professional qualifications, surgical competence, and ethical conduct have passed a rigorous evaluation, and have been found to be consistent with the high standards established and demanded by the American College of Surgeons.